The PGA Tour indicated they intend, if weather permits, to play the full 72-holes of the rain-affected BMW Championship on a very rain-softened Aronimink course in Newton Square, PA.
And if necessary, the tournament will go into Tuessday to determine a winner of the $9m event. 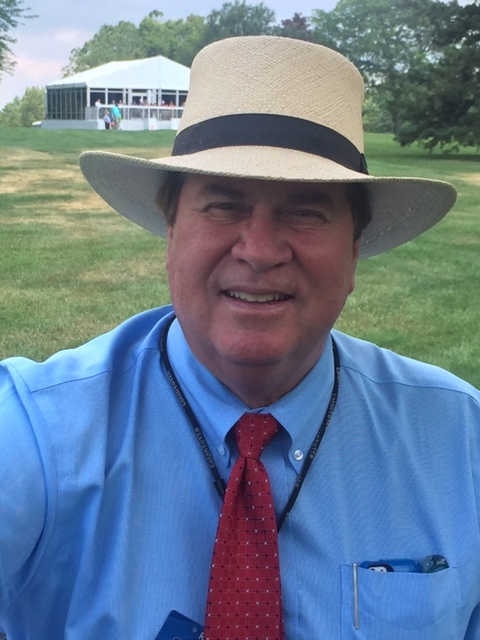 This was the advice of PGA Tour tournament director, Slugger White who also indicated some three inches of rain has fallen on the suburban Philadelphia course since overnight Thursday. “Clearly we have kind of mess out there and as or right now the golf course is unplayable,” said White. “If it were to stop raining right now we might be able to resume play so we are going out to assess the golf course right now but then I have been looking at it since about 4.45 this morning and it’s pretty bad. “The greens are fine. The bunkers are fine but we have teeing grounds that are very marginable and we have fairways also that are very marginable. “So, from right now we have 2 1/2 hours to let it drain down and get the maintenance crew out there to see if we can push some water around. England’s Justin Rose enjoys a one-shot lead at 17-under par and should he succeed in capturing what would be a third Tour title this season, he would go to No. 1 in the world and whether or not if the event were reduced to 54-holes. But there is other issues at stake with American Xander Schauffele tied with Rory McIlroy in second place and just a shot adrift of Rose, and should Schauffele win he could more-than-likely secure the very last USA Ryder Cup ‘wildcard’ pick. USA Captain, Jim Furyk is set to make that annoucnement at 9am Monday US local time but that is now up-in-the-air given the tournament is heading for a likely Monday finish. As well, organisers need to determine the leading 30 playes on the FedEx Cup standings who will qualify for next fortnight’s seaon-ending Tour Championship. Jordan Spieth is currently tied 27th in the tournament and projected to drop also from 27th on the FedEx Cup standings to 31st, and one place shy of not qualfying for Atlanta while there is the issue of the Texan not having played the minimum number of 25 events and needing to qualify for the Tour Championship to do so or face a Tour fine. This week is his 23rd event while the Ryder Cup later this month will also count towards the 25. “We are trying to play today and if we do play and happen to get finished so be it but the weather doesn’t look promising,” added White. “Though in saying that stranger things have happened but we would be here tomorrow and tomorrow is part of the Tour regulations, so we will be here. So, if we don’t play today we are going to be here tomorrow. “We do have a little window tomorrow like from 8am up to about 2.30pm but the sad part is that all we can do is take it one hour at a time. “We are trying our best to get guys out there and play. “Tuesday is an option and it isn’t. It is one of those things that if we do go into tomorrow and we get half the round completed we would be into Tuesday. One thing is for certain, the Tour will never start a delayed full round on a Tuesday. A Monday finish will ruin a number of other golfing activities for those competing in Philadelphia. Schauffele has a corporate outing he is hosting in Florida while Tony Finau will be back in Salt Lake City to host a ‘foundation’ outing while TaylorMade has a function in New Jersey for their leading players including World No. 1 Dustin Johnson along with Tiger Woods, Rory McIlroy and Rose.